The B Side has another 2 tracks, 70 And Dead and In The Bin. The only trouble with this, or maybe it’s the point, is that you want more. 3 songs isn’t enough. If you can play this without wanting to play it again immediately, I suggest you seek medical advice. Earlier in the year, I posted a review of Distractions, the Sauna Youth lp, and I said, perhaps a little foolishly bearing in mind there was still several months of the year left, that it was the best album of 2015. I guess I don’t need to say it, but I will. 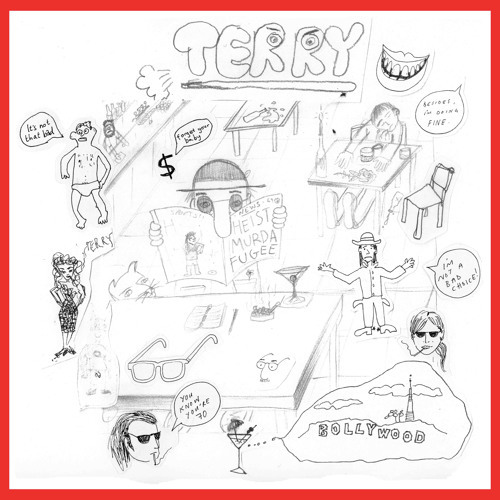 Talk About Terry is definitely the single of the year. It’s limited to 500 copies. I don’t think it’s sold out yet, so If you love music go and buy a copy here now!